The variety offered by medical cannabis is what draws many to this natural healing herb. Cannabis treatments aren’t like typical prescription medication, which is mostly made up of tablets – instead, there are edibles, vape juices, oils, creams, coffees and syrups for consumers to take their pick from. Furthermore, there isn’t just a wide selection for convenience or profiteering, each type of cannabis and cannabidiol (CBD) product offers a distinct benefit that is hard to find elsewhere. Therefore, certain products and illnesses match up. But what differentiates CBD with the more familiar cannabis strains that have a long history of medical and recreational use? CBD is just one compound, or cannabinoid from cannabis, but it’s of interest because it is non-psychoactive yet remarkably therapeutic. Many of the plant’s medicinal qualities can be tracked back to this compound, and since there’s no “high” from using it, the side effects are almost nil. Those who would never have entertained cannabis medication before are surprisingly receptive to CBD, and while not the sole reason for the uptick in use, CBD may be largely attributed to the dramatic rise in medical cannabis use by seniors. Researchers have only scratched the surface with CBD, which is effective in the endocannabinoid system (ECS), but seemingly with receptors outside of it, too. This suggests that CBD is even more complex than thought, as it was initially considered to be merely a mediator of the ECS. Now, let’s explore the most sought-after types of CBD. 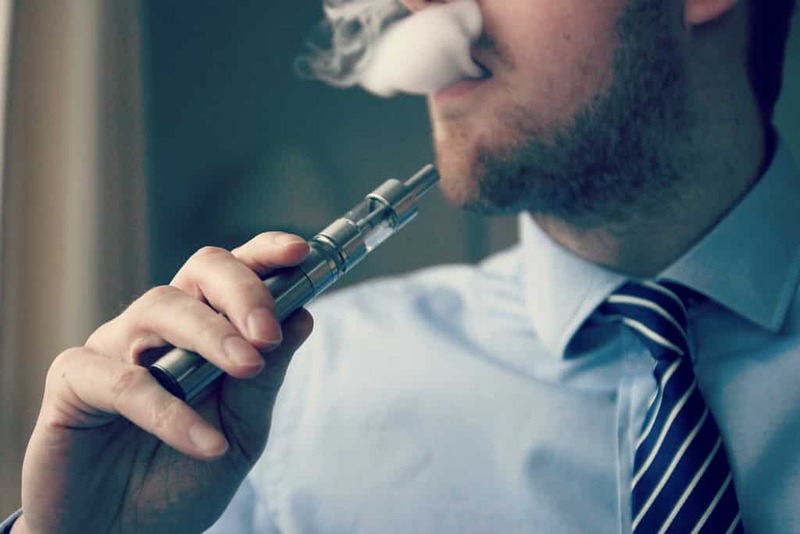 Technological advancements and greater awareness over the risks of smoking has contributed to the stunning growth of vaping, which has been adopted by both ex-cigarette smokers and cannabis users – even recreational users are making the switch. Vaporizing is more efficient and causes less damage to the lungs as the temperature of vapor is much cooler than that of smoke. Vaping is a popular way of taking CBD as it gets the substance into the bloodstream more quickly than any other method, which is essential for treating symptoms that emerge from nowhere, such as flare-ups of neuropathic pain. The CBD vape oil and e-liquid market offers eye-opening choice, with a smorgasbord of flavors. Full-spectrum CBD can be a little more expensive but has enhanced medicinal value as the extract used is taken from the whole plant, meaning that in addition to CBD there are terpenes and other cannabinoids. Terpenes are the compounds that give cannabis its aroma, but some are also therapeutic – for instance, linalool displays anti-anxiety effects. The CBD product that has received the most media attention is CBD oil, as this is what has been given to child epilepsy patients to manage their seizures. CBD oil is perhaps the most accessible form of CBD, as it is administered under the tongue and held for a couple of minutes, where it is sublingually absorbed into the body. The onset of effects is quicker than with pills and edibles, and even safer than vaping as the lungs are not exposed to any chemicals or stresses. As the oil passes into the bloodstream, the medicinal effects are felt throughout the body, and also in the brain. CBD is able to penetrate the blood-brain barrier, where it can indirectly address overexcitation by elevating levels of inhibitory neurotransmitters. It may be better to apply a cream than a tincture oil if using CBD on the skin, but oil will still provide topical benefits. For those who only want to purchase one CBD product, the versatility of CBD oil is much appreciated. Topical products have been a revelation for the world of cannabis, and beauty and cosmetic companies are attempting to capitalize on this hype. But how does an herb help improve the condition of the skin? Finding the ECS has unlocked many mysteries about cannabis, and we now know that cannabinoid receptors are found in various organs and tissues, including the skin. And as it’s possible to activate these receptors via the skin, the development of infused creams and salves was inevitable. The ECS regulates pain perception and immune system response, and CBD topicals utilize these mechanisms to reduce localized chronic pain and osteoarthritis, which affects the joints. CBD’s benefits extend to the health and aesthetic appearance of the surface of the skin. With antibacterial, antimicrobial and antifungal properties, CBD is superb at clearing up infections. The antioxidant properties, meanwhile, are vital for combatting the devastating effects of “free radical aging,” which accelerates the deterioration of the skin by destroying the DNA of skin cells. For starters, edibles taste really good, but they wouldn’t have thrived among medical cannabis users if they weren’t unique, too. The only downsides with oils and vape juices is that the effects subside after about three hours – that’s the payoff for the initial speed and potency. While metabolism speed does have an effect, when consumed in edible form CBD often lasts for around six to eight hours. This is beneficial if taking CBD to help regulate sleep, to reduce pain or to manage sleep apnea, insomnia and similar disorders. However, these lengthy effects are great for daytime use, when it isn’t practical to have a time out every couple of hours to vape. CBD edibles – and also soft gel capsules – are ideal for workplace consumption, as they are very discreet – although if the potential smell is a concern, pick a product that doesn’t have terpenes in it. CBD syrup can be added to pretty much any beverage, where it produces edible-like relief – however, the effects tend to kick in quicker, after around 20 minutes. Syrups are convenient, and just need mixing into a drink before they can be enjoyed. The CBD provides a pleasant body buzz. If you are new to CBD, then being introduced to so many products at once might be overwhelming. However, CBD is not addictive and causes very few side effects, so you can experiment with confidence.